Li Lan’s family is nearly destitute, thanks to her father’s opium abuse and lack of income. In Chinese culture, there is hope for her father if she can marry well enough that she will be taken care of, and perhaps she can take care of her father, too. But what pedigreed young man will want to marry a poor, unremarkable girl like her? The answer comes soon enough. A proposal comes through that the Lim family is interested in marrying her to their only son, and willing to go to great lengths to make it happen. The catch? The groom is dead, and has been for a while now. The Lim family believe that giving their son a fresh young bride will put his spirit to rest, and she is the lucky lady for the job. Li Lan wants to help her family and she knows that her father will benefit from the act, but can she really marry a dead man? She will never be allowed to marry another man, never have children…And the ghost groom is starting to appear in her nightmares. The ghost bride must venture into the realm of the dead and find out how to rid herself of the curse that is her imminent marriage to the terrible ghost boy. Ancient and not-so-ancient Chinese curses and ideas about spirits are brought out in this fantastic story of evil spirits, good spirits, purgatory (Chinese style) and much, much more. If you liked What Dreams May Come, by Richard Matheson, which addresses the afterlife, and paying for evil transgressions in life, and finding family memories in the afterlife, etc, you will want to try The Ghost Bride, by Yangsze Choo, which is one-of-a-kind in every way, and very interesting. Beware, however, you may find yourself addicted to Chinese superstitions for a brief period following this novel. 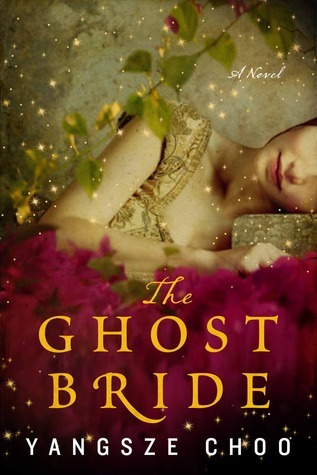 I would say that this novel is more “Magical Realism” than any other genre-if you like to delve into fiction that deals with the afterlife or the underworld, The Ghost Bride is a must-read!